Tech at Night: Bitcoin’s central bankers. Kim Dotcom censors Mega. 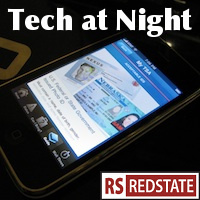 Tech at Night: Apple negotiates while Pandora lobbies. Chinese attacks continues. I’m shocked to find out that after Anonymous declared war on Australia, that Australian censorship continues unabated. It’s almost like idiot Anarchist children don’t actually succeed at things. Which is why blackshirt scum continues to get sent to jail, where they belong. I’m also sure Barack Obama is quaking, quaking in his boots over the new Gitmo stuff by the Anontards. I wonder how many of them are going to lose their shirts, I mean lunch money, over the Bitcoin scam starting to fall apart as the Magic: the Gathering Online Exchange (Mt. Gox) is feeling the pinch. I can’t wait for them to cry so hard if Mike Rogers, recently the target of an anti-CISPA swatting, heads up the FBI. Pandora is still trying to lobby the government to let them stick it to musicians. Cheap promotion, they promise, which is what you always tell the talent when you’re just too cheap or failing as a business to actually pay for what you use. Don’t pass IRFA. Two wrong don’t make a right, and we ought not repeat online the mistakes made in terrestrial radio regulation. Google’s taken heat for being pretty liberal about what they allow to be advertised on their services. Here’s a Wired story alleging it got really bad.